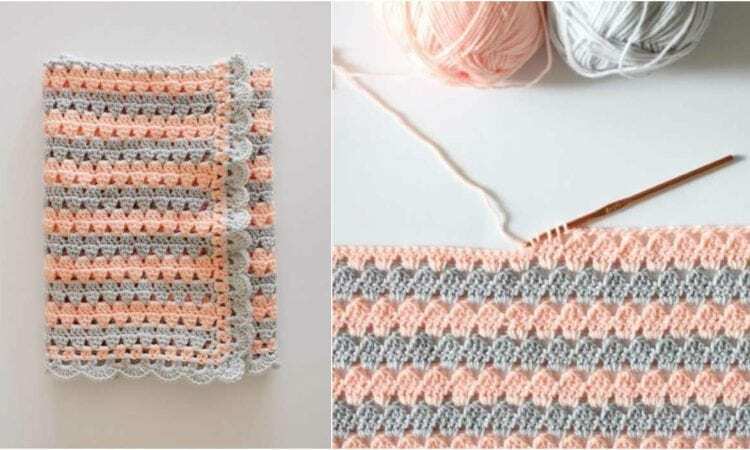 Granny blankets are great, they simply work as a crochet project. If they have a downside, it’s that their name matches their style. While that works for some, it is sometimes a little dated. This project is a modernized take on a granny baby blanket, that still maintains the appeal inherent to a granny blanket, but presents it in a modern, bright vibe. Please enjoy this great idea for a baby shower gift. A link the free pattern is at the end of the post.